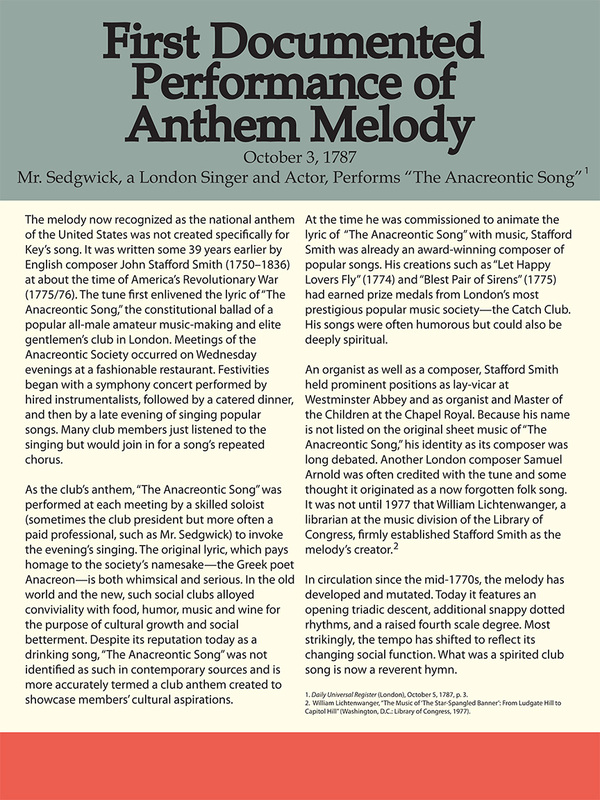 While “The Anacreontic Song” was written in 1775 or ’76, The London Times (which believe it or not reported and reviewed Anacreontic Society meetings) did not start publishing until ten years later, so the first mention of a performance of the melody that Francis Scott Key would use for his iconic patriotic song is not mentioned until about 12 years after it was written. This entry was posted in Anacreontic Society, Arrangements, Banner Moments, John Stafford Smith, Mark Clague, Melody, Mr. Sedgwick, The Anthem. Bookmark the permalink.